Security researchers have discovered a new botnet that uses 150 Gbps DDos attacks to bring down servers and websites. 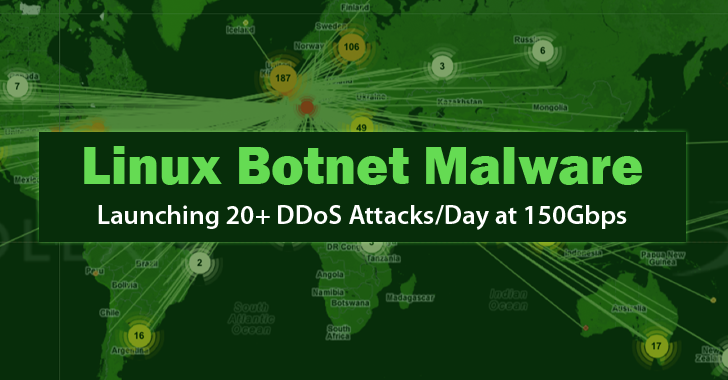 The Linux-based botnet has been known for over a year, however, it was only recently found by Akamai’s Security Intelligence Response Team attacking systems by compromising embedded devices like routers and then gaining SSH access. A report on Gizmodo notes that once the bot achieves the access, it downloads a small piece of botnet hardware and turns the victim system into another botnet that in turn could affect other systems in a similar fashion. The botnet spreads a Trojan called XOR DDoS. It is said to strike up to 20 times a day and is currently being used to attack Asian gaming and education sites. The impact of the attack is yet to be seen. However, commercial units running the Linux systems could consider taking necessary measures.